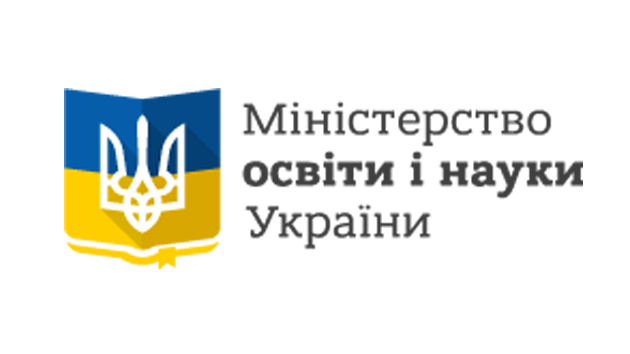 Admission of foreign citizens and stateless persons to study at Mukachevo State University (MSU) is carried out in accordance with the Rules of Admission to Higher Educational Institutions of Ukraine in 2018 (hereinafter – Admission Terms) approved by the order of the Ministry of Education and Science of Ukraine dated October 13, 2017 No. 1378 and registered in the Ministry of Justice of Ukraine on November 14, 2017, numbered 1397/31265 and the Terms of Admission to Mukachevo State University in 2018, approved by the Academic Council of Mukachevo State University (Record No. 6 of December 28, 2017). 1.1. The training of foreign citizens and stateless persons is carried out in accordance with the Laws of Ukraine “On Higher Education”, “On Legal Status of Foreign Citizens and Stateless Persons”, “On Ukrainians from Abroad”, the Decree of the President of Ukraine on June 03, 1994 No. 271 “On Measures for the Development of the economic cooperation between regions of Ukraine and the bordering regions of the Republic of Belarus and administrative-territorial units of the Republic of Moldova”, by the Cabinet of Ministers of Ukraine from February 26, 1993, No. 136 “On training the foreign citizens in Ukraine”, from 11 No. 684 “The issues of educational admission for foreign citizens and stateless persons” September, 2013, Order No. 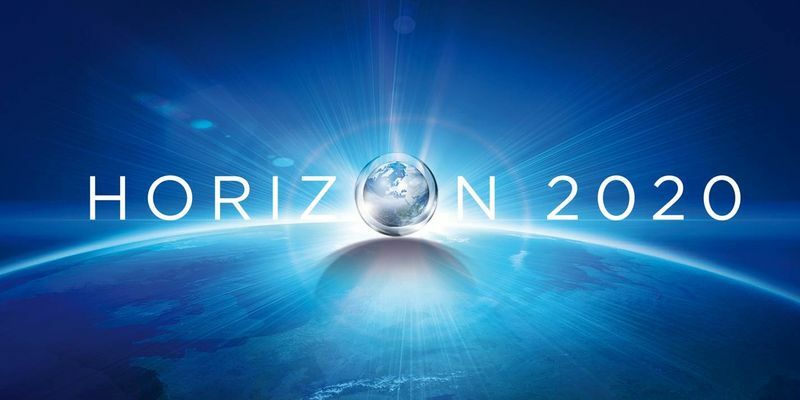 1541 of the Ministry of Education and Science of Ukraine dated November 1, 2013 “The issues of admission organization and training (internship) of foreign citizens and stateless persons”, registered in Ministry of Justice of Ukraine on November 25, 2013 under No. 2004/24536 (regulation of the Ministry of Education and Science of Ukraine dated December 11, 2015, No. 1272) with amendments and supplements. 1.2. A person who is recognized as a refugee or a person who needs additional protection has the same right to obtain higher education as do the citizens of Ukraine, except for studying at the expense of state and local budgets. contracts concluded by Mukachevo State University with legal entities and / or individuals. 1.4. The study at the MSU is conducted in language of the chosen educational program (specialty). 1.5. Education of Foreigners is carried out on a full-time basis. A foreigner who studies at MSU on a full-time basis must live in Ukraine and be registered in the Internal Affairs Agency. 1.6. Expulsion, breaking, reinstatement and transfer of foreigners are carried out in accordance with the law regulation, and on the basis of the institutional order. 1.7. The normative content and the term of foreign students’ training, at all levels of higher education, are determined by the standards of higher education of Ukraine, the Admission Rules to higher educational institutions of Ukraine, and the Terms of Admission to Mukachevo State University in the current admission year. 2.1. Foreign citizens and stateless persons who have received a full general secondary education or “Junior Specialist” (Associate Degree) educational qualification level are accepted to Bachelor degree study. 2.2. 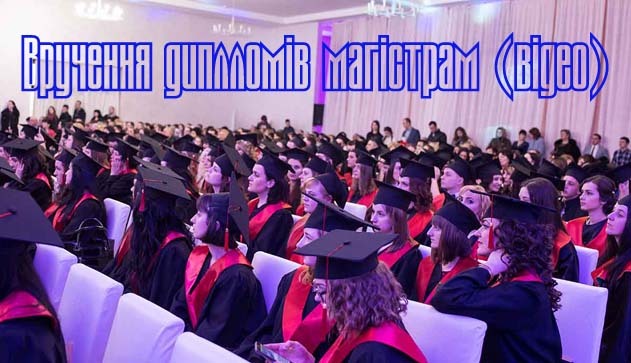 Foreign citizens and stateless persons who have obtained Bachelor or Master degree (qualification level of a Specialist) in the country of their origin are accepted to study for Master’s Degree. 2.3. Foreign citizens and stateless persons who have obtained Master’s degree (educational qualification level of a Specialist) in the country of their origin are accepted to study for Ph.D.
2.4. Admission of foreign citizens and stateless persons to senior (second and subsequent) courses with a normative term of study is carried out within the licensed limits of vacant places in Specialties from the List in the current year. 2.5. MSU accepts foreign citizens and stateless persons to senior courses under terms of transfer or reinstatement, within the vacant seats’ licensed limit, in accordance with the Regulations procedures of transfer, expulsion and reinstatement of students of higher educational institutions. 2.6. The reinstatement of foreign students for full-time education is carried out on general basis, usually during the vacation period. 2.7. The transfer of foreign students from higher educational institutions of Ukraine to Mukachevo State University is carried out with the rectors’ consent of both educational institutions, and within the University – with the consent of the deans. 2.8. Admission to postgraduate Ph.D. study is carried out under the licensed number. 2.10. Education documents of enrolled foreigners, which were awarded by the educational institutions of other countries, go under confirmation procedure in the Ministry of Education and Science of Ukraine during the first semester in accordance with the current legislation. This requirement is not needed for the documents of foreigners studying under the programs of academic mobility and internships, as they do not apply for academic qualifications or degrees. Based on the confirmation results, MSU authorities decide on educational training approval or expulsion. 3.1. Acceptance of application forms and documents of foreign citizens for Bachelor and Master degrees study in all faculties of the University and to Ph.D. postgraduate degree is carried out in accordance with the Admission Terms to higher educational institutions of Ukraine and the MSU Rules of Admission, in particular. 3.2. Organization of admission to study at the University of foreign citizens and stateless persons is assigned to the department of work with foreign students. 4.1. Documents from foreign entrants are accepted only in paper form. – consent on personal data collection and processing. The documents mentioned in subparagraphs 2-4 of this section must be translated into Ukrainian with the notarization of translation. 4.3. When admitting the persons who submit degree (level) document of education acquired abroad, the procedure of confirmation is needed, in accordance with the procedure of Recognizing the Higher Education obtained in foreign higher educational institutions (order of the Ministry of Education and Science of Ukraine dated May 5, 2015, No. 504, registered in the Ministry of Justice of Ukraine on June 27, 2015 under the number 614/27059). The procedure of document recognition for the purpose of continuing education is carried out before the beginning of the second semester of the first study year. 4.4. Application form and documents of the entrants mentioned in clause 4.2 are saved in the entrant’s personal case folder. Organization, procedure of competition and recommendations for enrollment. 5.1. MSU enrolls foreign citizens and stateless persons for study within the licensed number limit, for educational degrees of “Bachelor”, “Master” and “Doctor of Philosophy”. 5.2. Foreign Ukrainians who have received a referral to study from Ukrainian national-cultural societies, when applying to MSU go under the same legal rights as the citizens of Ukraine with the exceptions established by the Constitution of Ukraine, laws of Ukraine or international agreements approved by Verkhovna Rada of Ukraine. They take part in the enrollment contest under the same regulations as the citizens of Ukraine. 5.3. Foreign citizens and stateless persons who are legally residing in Ukraine have the right to obtain higher education, except for the right to higher education at expense of state and local budgets, unless agreed by international treaties of Ukraine, and approved by Verkhovna Rada of Ukraine. They take part in the enrollment contest on the same grounds as citizens of Ukraine. 5.4. Enrollment of foreign citizens and stateless persons for higher education at specified educational level is made on the basis of entrance examinations’ results and academic rights to continue study accompanied by the document of education level acquired in the country of origin and gives right to continue education at the specified higher education level. 5.5. Entrance examinations schedule is formed and approved by the Head of Admission Commission (Rector), and is published on the University website. the MSU Terms of Admission in chosen specialty (educational program). The competitive selection for Master’s degree is carried out on the basis of entrance examinations results in Academic Language, Foreign Language and examination by specialty. The competitive selection for Ph.D. (Doctor of Philosophy) is carried out on the basis of entrance examinations results in Academic Language, Foreign Language and examination by specialty. Applicants who enter MSU for Bachelor’s, Master’s and Doctor of Philosophy degrees in the field of knowledge (specialty) different than previously obtained qualification, sit additional introductory test in the form of an interview. 5.7. For the entrance examinations, the subject or profession-oriented certified commission is created, and approved by the order of University rector. 5.8 Entrance examinations programs and knowledge evaluation criteria are approved by the head of Admission Commission not later than 3 months before the beginning of the entrance examinations and are published on the website of the University. – the whole year if applied for postgraduate study. Foreign citizens and stateless persons are enrolled for study at the “Bachelor’s”, “Master’s” and “Ph.D.” degrees, on the basis of University Agreement, and under condition of paid tuition fees for educational training. Enrollment is carried out on the basis of the university Rector order. 6.3. The enrollment order for “Bachelor’s”, “Master’s” and “Ph.D.” (Doctor of Philosophy) degrees by full-time education of foreigners is made on the basis of the admission committee decision, and shall be insert into the Unified State Electronic Educational Data. 6.4. Foreign citizens and stateless persons enrolled in studies at the University, may apply for placement in hostel (if vacancies available). 6.5. All categories of foreigners who apply to study are enrolled to the University on the basis of enrollment regulations, which are inserted into the Unified State Electronic Educational Data. 6.6. The enrolled foreigners are given a student card and a student’s record book of state-recognized format. 6.7. Sample and procedure for handing the student ticket is determined by the Ministry of Education and Science of Ukraine. 7.1. The admission changes for particular items and paragraphs dedicated to foreign citizens and stateless persons cannot be made during the period of the admission campaign, except for the cases that arise in accordance with the change in state legislative and regulatory framework, non-standard and urgent situations.